Why do kids love a good scare? Having studied anthropology, I’ve observed that, pan-culturally, kids love a good scare. Scary stories, scary movies, being scared by a giant rabbit jumping out at them. In the past (and in some places today), scary stories served as a means to transmit messages about how to stay safe. Little Red Riding Hood does a good job of demonstrating how leaving the village and going into the forest alone comes with the risk of running into a wolf, for instance; a good rule of thumb for mid-second-millennium European society. Similarly, Kallaalit (Indigenous Greenlandic) children love stories of Kalaaq, wherein footsteps in the snow going away from (and not returning to) the village transmit messages about the dangers of traveling alone in the harsh Greenland climate. 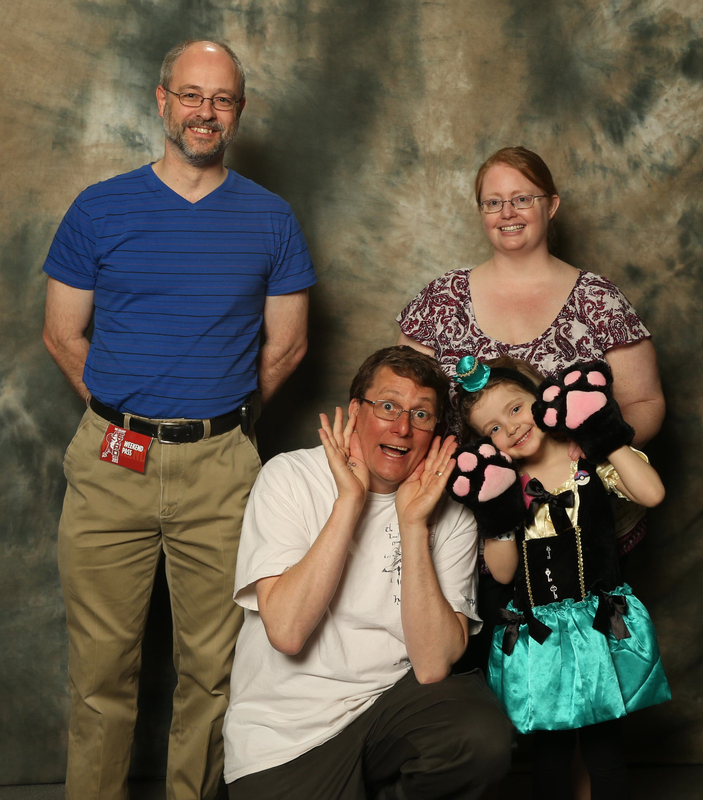 But why do children seem to universally love a good scare from time to time? The stress that comes along with it increases adrenaline… This helps focus children’s attention to what is happening in the moment… Perhaps it is that these moments represent pseudo-experiences of risk, without any real threat, and therefore fear can give way to enjoyment… while at the same time children learn lessons that for thousands and thousands of years children learned by experiencing real risks in daily life (presumably without enjoyment). Technology (such as that used and developed by WETA) has enhanced the “realness” of these pseudo-risks, expanding the overall experiences through sensory input, and thereby enhancing the associated learning. However, enjoyment still remains a product because the enhanced experiences do not replicate true threat/risk. This entry was posted in Virtual & Augmented Reality on April 30, 2013 by Kelli. 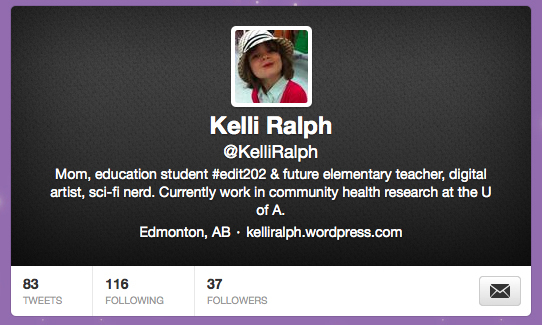 My Twitter PLN has grown quite a bit during the EDIT 202 course. 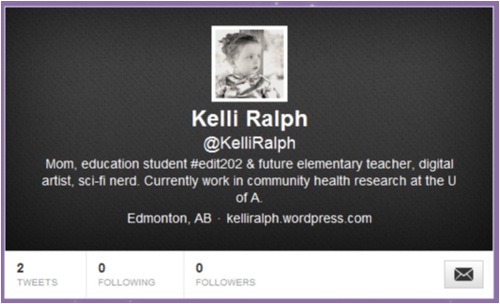 I look forward to continuing to build my PLN and my Teaching & Learning Blog! 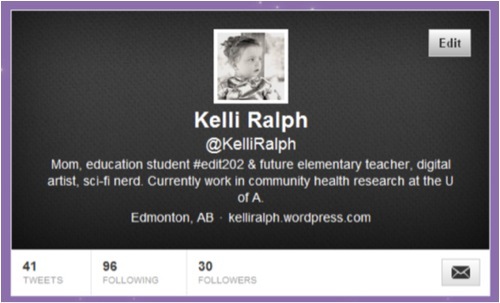 This entry was posted in Technology & Professional Practice on April 12, 2013 by Kelli. Here is my Tackk poster. Mobile devices could be utilized for the activities for Step 1 of the lesson plan to poll the class to share ideas about what they already know about Greek mythology, and what they would like to find out. At the end of each unit, to facilitate sharing of the group lists of what has been learned, a content delivery app such as mobl21 could be utilized to provide a space for each group to post their list; the teacher could then deliver a compilation of all group lists to each student directly via their mobile device. This is a way of engaging students, incorporating collective knowledge, and empowering students by letting them decide what they would like to include in their learning. As well, the end of class poll would serve as a study review for the entire class. To expand on the objectives of Step 5, an augmented reality program, such as the Star Walk iOS app, could be utilized to have students view the night sky and observe digital layers that show the figure outlines for the constellations depicting icons from Greek mythology. This would help demonstrate the connection been ancient Greek society and present day “Western” society. This may help demonstrate the relevance of Greek mythology to the students’ own lives, and help them to grasp concepts from Greek mythology that they can identify in the world around them today. For Step 12, the teacher could use the Study Stack web site to create flashcards, incorporating all the questions and answers provided by the students. The link to the flashcard deck could then be sent directly to each student’s mobile device, and they could access the flashcards on their mobile devices at school or elsewhere (as long as there is an Internet connection). Whether the mLearning strategy makes appropriate use of technology as a support. For instance, am I using technology just for the sake of using technology? Will the use of technology truly transform the students’ learning. Whether the applications/apps I choose to use are compatible with all the types of mobile devices my students have access to (or, whether my all the students in my classroom have access to a mobile device with which the applications/apps I choose to use are compatible). For instance, Star Walk is exclusively for Apple devices, and costs $2.99 USD. I would want to choose free applications/apps, so that cost would not impede accessibility. Whether the technology is appropriate to the age / grade level of my students. If the applications/apps are too difficult for my students to use, they will lose interest in the activities. This entry was posted in Mobile and Emerging Technologies on April 12, 2013 by Kelli. Here are the flashcards I made using Study Stack. Here is the Prezi I created, called “Copyright Concepts for Kids”. It provides an overview of some intellectual property and copyright concepts germane to some circumstances that elementary-level children may commonly experience. This entry was posted in Intellectual Property and Copyright on April 11, 2013 by Kelli. Just thought I would share this. 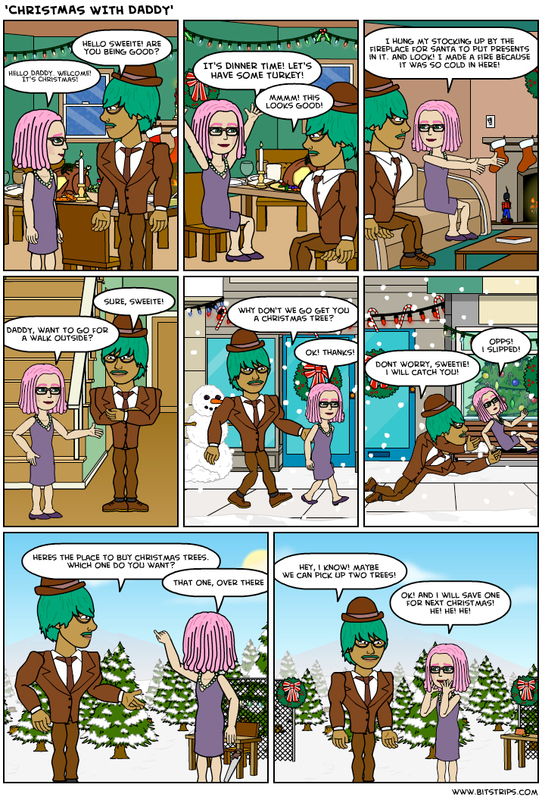 Instead of reading my 5-year-old daughter a bedtime story tonight, she and I made this comic strip with BitStrips. This entry was posted in Digital/Media Literacy on April 10, 2013 by Kelli. Here is my ebook, Web 2.0 Tools for the Classroom. Criteria 1: Does this tool support my lesson objectives? Does it do everything I need it to do? I want to choose technology tools that go beyond simple substitution, towards truly redefining learning for my students. (Puentedura, 2012) I want to ensure that the tools I choose facilitate experiential, constructivist learning, which I believe to be more impactful for students. I also want to choose tools that do “double-duty”, i.e. help students enhance their literacy, media literacy, etc., simultaneously with learning the lesson material. Can all my students benefit from the use of this tool in my classroom? Will using this tool in class serve to exclude any of my students? I want to foster an inclusive classroom, and therefore want all the students in my classroom to be able to use the tools I choose to support their learning. If there is a tool I really want to use in my classroom, but which not all my students have the capacity for using themselves directly, I would consider using this tool within the context of group work. This way, students who may not have the capacity for using the tool themselves would nonetheless benefit from being included in an activity that involves the application of the tool, and would also benefit from being part of a group, especially if the tool and the activity facilitate transformative learning. Will my students have free access to this tool? Will they be able to access it from home or elsewhere (such as at a public library)? Can I use this tool for assessing student progress? I want to choose tools that not only support students in their learning, but that can allow students to effectively demonstrate their learning in a way that I am able to appropriately evaluate their learning progress. Tools that allow students to create lasting media materials, for instance, which I can review and observe the production process. Is this a tool that will inspire and engage student in learning? Is it an appropriate tool for my students’ skill level? The WOW factor! I want to choose tools that students feel excited t o use and that makes them excited about their learning. If students get frustrated by a tool that is too difficult to you use, or that doesn’t do what it’s supposed to do, then they will loose interest in the lesson no matter how interested they may have been about the topic in general. However, I don’t want to choose tools that are too exciting and that are distracting; in other words, I don’t want my students to focus more on the tool, at the expense of the lesson. This entry was posted in Technology Integration on April 8, 2013 by Kelli. This is my virtual vendor video, describing ActivTable by Promethean, MindView Educational Mind Mapping Software, and MIT’s Scratch. I was very excited to attend the educational technology Demo Day at the U of A on April 2nd. I had a chance to talk with most of the vendors, and was very inspired by the products being promoted. As I’m building my own ideas about how I will approach teaching, and my skills as a teacher, it is very important to have opportunities like this to help me envision how I can incorporate technology into my classroom to support my teaching strategies. 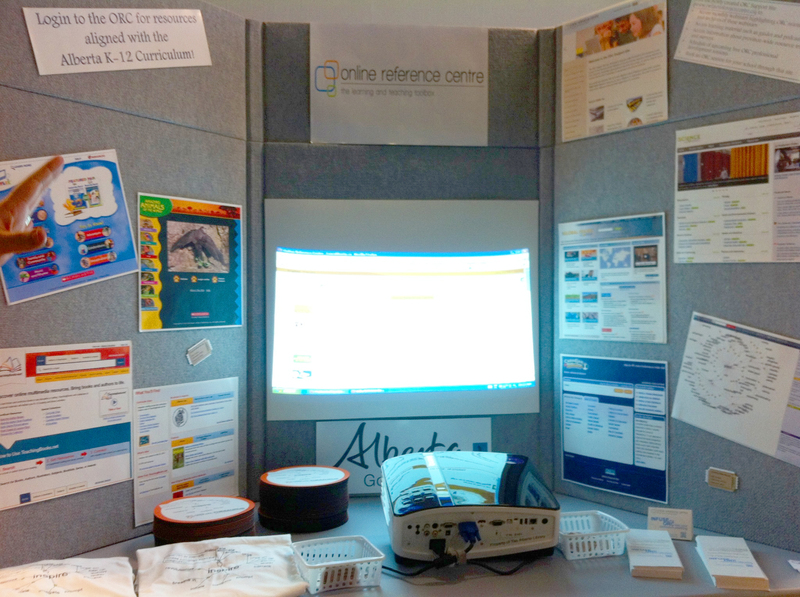 This booth was demonstrating the www.2Learn.ca web site, which offers student and teacher resources packages for individual and classroom use, organized via age/grade grouping, and by subject area corresponding the Alberta curriculum (language arts, math, science, etc.). These “Student Sites” and “Teacher Sites” include collections of resources with links, and all resources have been vetted by 2Learn.ca for copyright. The “Teacher Sites” offer Web 2.0 tools and resources. Using the “Student Sites”, teachers can find resources for use with IWBs. The web site also features an image database. “Enjoy Pages” provide packages of topic-centered resources to help facilitate discussion, etc. I would utilize 2Learn.ca in my classroom as a jumping off point for new units, etc., and would use the “Enjoy Pages” to inspire and inform class discussions. 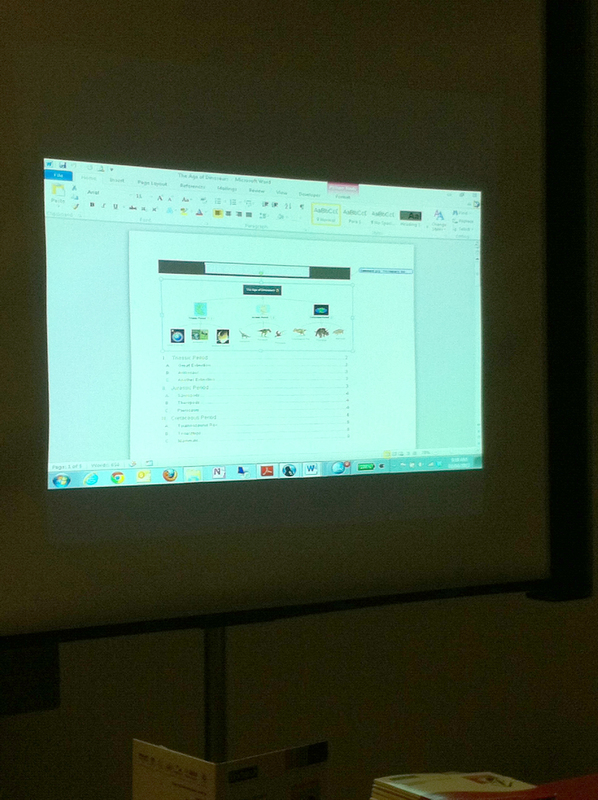 I would also have my students utilize 2Learn.ca to start their search for reference material, etc. I like the fact that 2Learn.ca is accessible outside the classroom (i.e. at home). Because 2Learn.ca has vetted all resources for copyright, I can be sure that neither my students nor I are infringing on copyright. I would also use 2Lean.ca resources to support my professional development, such as “The Concourse” webinars. This booth was demonstrating the $1.7 million of resources available to teachers and students K-12 through the ORC. The collection is organized by grade range. Experts update these resources frequently. Many/most resources are only available through the ORC. For instance, the ORC recently acquired the Visual Thesaurus (which features audio pronunciation). There is a Visual Thesaurus web site, but it cannot be logged onto directly; users must access is via the ORC. At school, students do not need a login, but outside of school (ex. from home) students would need a login. Login info is unique to each school district, and students can obtain login information from their school’s librarian. The representative gave me the login unique to U of A pre-service teachers, so that I could begin utilizing the ORC myself. The ORC features a “My Workspace” section, through which additional teacher resources are accessible. There is a French language section, but it includes fewer resources. The representative described that the ORC is currently working to revamp its homepage to make is more user friendly, and more “jazzy” and “glitzy” to engage kids. I would utilize the ORC as a source for supplemental material to draw on in my lesson planning, and I would have my students utilize it as another starting point to find and gather information, then use web 2.0 tools to share information with each other. It is a particularly good tool because it facilitates access to information and resources that may not otherwise be accessible. I like that the ORC is also accessible outside the classroom. Because citations are embedded into each resource (and many link to RefWorks), I would have students utilize this feature to create reference lists in their work. The representative suggested starting this practice with young children, to begin developing these skills by having them citing the databases in which they found their references, and building these skills from that point. I would consider incorporating available podcasts, videos, etc. into my lessons; many are easily accessible because they are embedded in the ORC resources. I like that the resources are organized by grade range. I was pleased to hear about the read aloud and text translation features available in many of the ORC databases, and that some resources can be downloaded to MP3; this is an excellent feature that will help mediate barriers for students who have visual impairments or a learning disability that impacts their reading skills. I would also utilize the ORC for professional development, including resource training and “Webinar of the Month” (publisher webinars). This booth was promoting two new Microsoft tablets for use in the classroom: Surface (RT) and Surface Pro (with Windows 8 Pro). While it is possible to install third-party apps onto Surface Pro, or Surface (RT) apps can only be installed from the Windows Store. Both have touch screens made with Gorilla glass, a Windows Flash player, USB port, and can be Cloud connected. They connect with Mac and android devices. Documents can be edited via smart phones. Surface (RT) and Surface Pro feature “infinite notebook”, and handwritten notes can be made on the screen and converted to text. In the classroom, teachers and students can stay connected and share/sync files via SkyDrive. I would also use this feature to enable submit their assignments. Class-based groups can be created, as well as home-based groups. These devices can link with an IWB, and I would utilize this capability in my classroom. I am more familiar with Apple products, but I want to become more familiar with Windows-based and android devices to enhance my competencies and flexibility. For instance, IWBs work with Windows or Mac, but the ActivTable from Promethean (which is a product I would like to utilize in my classroom) is embedded with a Windows operating system. I have signed up for the “Windows in the Classroom and Partners in Learning” (www.pil-network.com) certification workshop on April 9th, offered at the U of A.
I included this vendor and product in my screen cast (see above), so the description I provide here is a recap. This booth was demonstrating the Promethean ActivTable (with ActivInspire software). 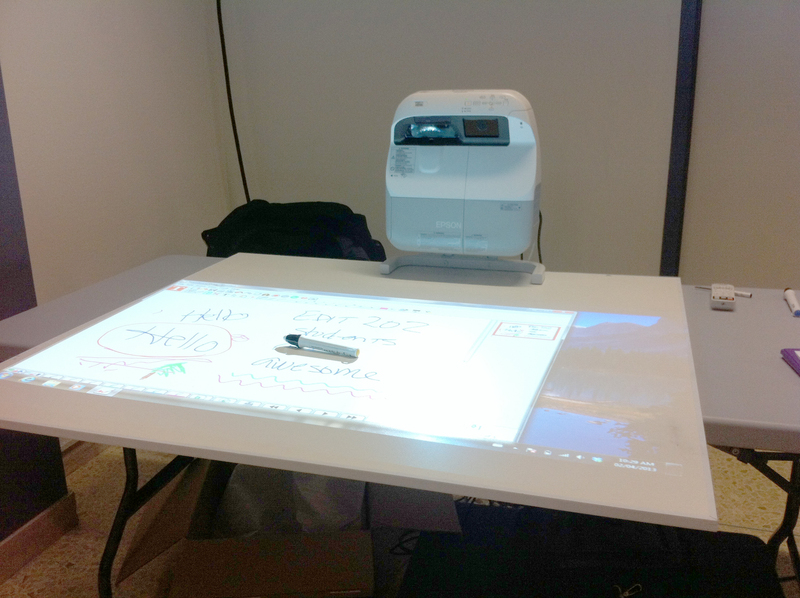 ActivTable features a 46-inch HD LCD display smart table with a touch-sensitive screen. It offers multi-user capability via 60 points of touch to accommodate up to 6 users per table. Up to 6 Internet connections can be open at the same time on one table. The table has 4 USB ports. 70 activities are available. ActivTable comes pre-loaded with 30 activities, and additional activities can be downloaded from the activity store. Windows (standard 7) is he embedded operating system, and ActivTable Integrates with ActivBoard and ActiView. As a multi-user tool, the primary feature of ActivTable is that it promotes collaborative small group work and learning. This is how I would use it in my elementary classroom, particularly with younger children (from kindergarten to about grade 4), to help them develop planning, cooperation and communication skills that will serve them in the higher grades and lifelong. I would also use ActivTable to facilitate differentiated instruction, so that I could organize my classroom into pods with each pod working on a different learning task. ActivTable helps promote an inclusive classroom. For instance, the screen doesn’t require precise one-finger touch, so a student who has a disability that affects their fine motor skills could use their whole hand, for instance, to trace letters on the screen. The table also provides an accessible fit for wheelchairs. ActivTable also offers quite comprehensive activity and reporting tools that enable teachers to track individual student activity and contributions (especially in group work) more effectively than is possible via observation. For instance, ActivTable records each student’s heat signature, which tells the teacher how often and how long that student engaged with the screen during an activity. 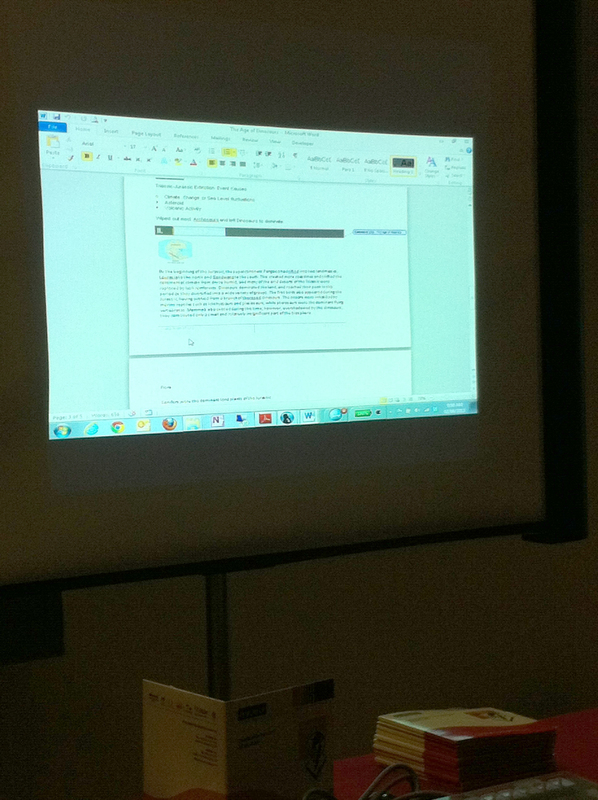 The two-way user interface also enables teachers to provide real-time feedback to students. There were other products at this booth, but I did not get a chance to see them demonstrated, not to ask the representative about them. 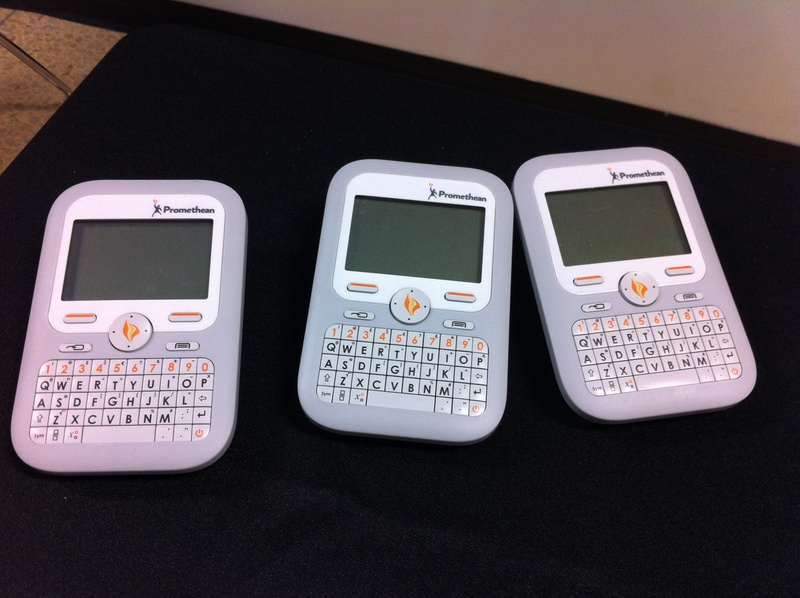 These products included the ActivExpression2, which is an individual handheld learner response system, which encourages student participation and enables teachers to undertake real-time assessment of student progress. I would use these for this purpose in my classroom. This booth was demonstrating some of the assistive technology that Aroga distributes. I was particularly inspired by what I observed at this booth. 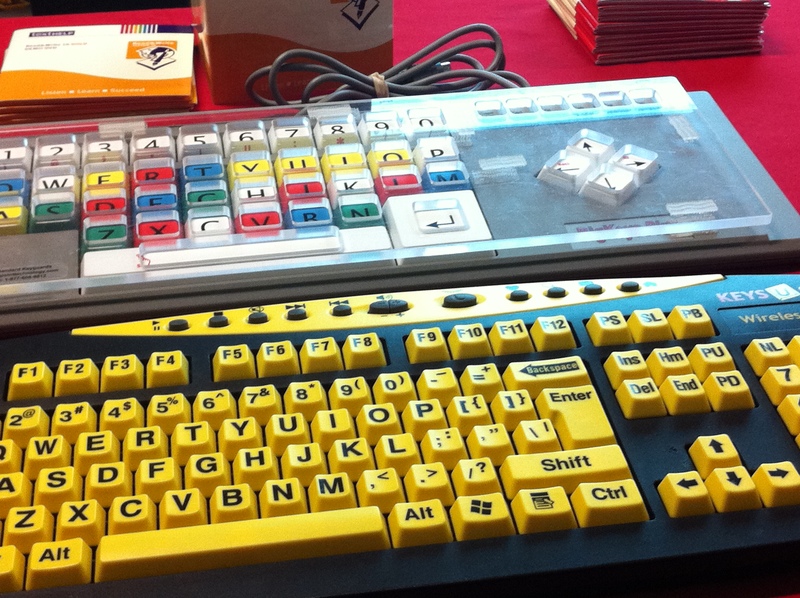 Alternative keyboard for students with low vision (yellow & black keyboard) or a disability impacting their fine motor skills (colour-coded keyboard, which makes it easier to the student to target the keys, and has an embedded key guard so that only one key is hit). Non-traditional style mouse, for instance, a joystick, and a mouse switch that can be mounted anywhere that it would be more accessible for a student (such as on a wheelchair arm). Read & Write GOLD, full literacy-based software for the classroom. A portable version is available, loaded onto a USB stick that can be plugged into any computer. The program reads text aloud, highlights text as it is being read aloud, and included other supports tools such as more accurate spell-check. The program integrates with MS Word and other common applications. It can interact with an IWB, and used with the whole class, i.e. going through a text with the entire class. In this way, this program helps to create an inclusive classroom, so that the student with the disability is not singled out and doesn’t have to work with the tool on his/her own. I would utilize this program for students who have a visual impairment or a learning disability that impacts their reading skills, to support them in their reading and writing, and completing assignments. It could also support these students when they are taking tests. Read & Write GOLD is already available in many Alberta classrooms, and is a literacy tool that Alberta Education has endorsed. MindView Educational Mind Mapping Software (or “MindView”), a software program that serves as a visual learning tool. I discussed this software program in my screen cast (see above), so the description I provide here is a recap. The Aroga representative described how MindView incorporates visual- and spatial-area learning skills, which mediates learning barriers for many students who have language-area learning disabilities. In this respect, this tool fosters an inclusive classroom environment. MindView also fosters more comprehensive learning because, if only language-based learning is used in teaching, then the experiential learning facilitated via visual- and spatial-area learning is missed. Combining language-, visual- and spatial-based learning creates more comprehensive learning. In presentation mode within the MindView tools itself, we see the whole concept map and each component can be enlarged and reviewed, and can be converted to a timeline format. Companion information such as text notes, web links, videos and images can be attached to each component. In my classroom, I would utilize MindView as my primary tool for creating, updating and organizing lessons, in all subjects. I would create a concept map for each subject, showing how each topic in each subject links together over the course of the school year. Each MindView subject concept map could serve as the primary resource material for my students to use, and they would not need to take notes (i.e. I could provide each student with a downloaded copy of my presentation and embedded text notes, etc). 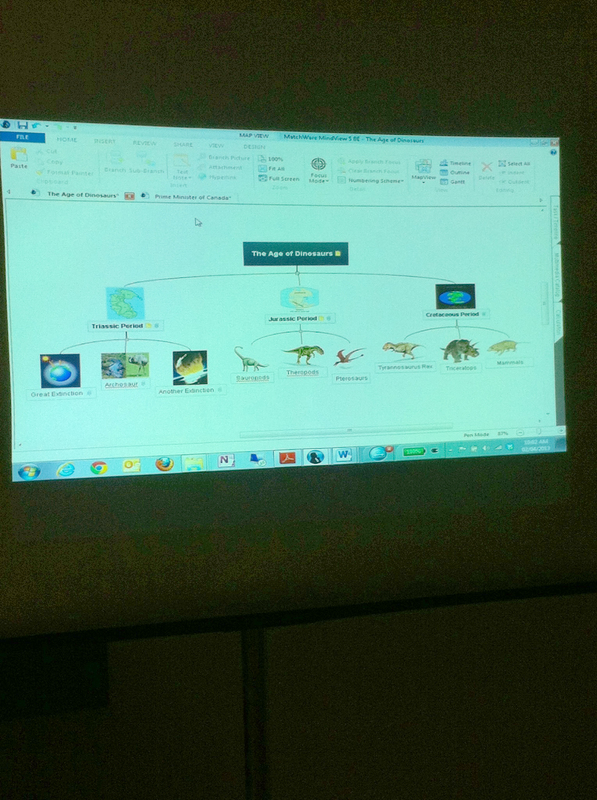 I would also use MindView as a tool for collaborative work as a class, for instance, as a class we could develop a concept map for a lesson on nature that incorporates specific topic items suggested by the students as components to include in the lesson (ex. insects, birds, flowers, weather). This would help empower students by allowing them to decide what they are interested in learning. It would also help develop their communication and consensus-building skills. And their cognitive skills in terms of identifying how subconcepts are link to and related to each other via broader concepts. Overall, what the Aroga representative impressed upon me most was the ability for assistive technology to take disability out of the equation. In particular, teachers can implement tools such as MindView and Read & Write GOLD as part of their teaching style, so that they use them with the entire class, thereby creating an inclusive environment in which the student with the disability is not singled out. The Aroga representative also described the role of consultants in helping identify and integrate assistive technologies into classrooms, so that teachers are supported in their efforts to create inclusive environments. He mentioned how rural districts and schools, in particular, are in need of help to investigate options. This booth provided information about this U of A course, which provides an opportunity to learn about the practical application of constructivist theory via game building (i.e. “learning by doing”). Participants in this course gain proficiency in game-building software, which they can utilize in their future classrooms with their own students. 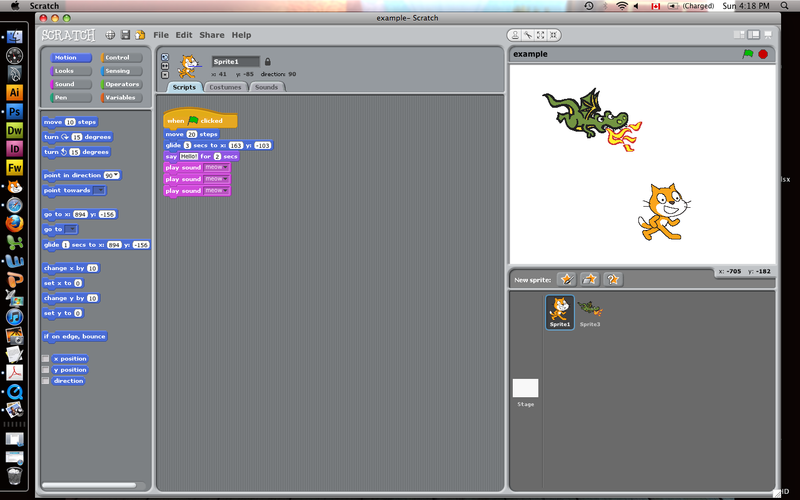 Scratch (from MIT) and KODU (from Microsoft) are the simple, user-friendly game-building software demonstrated in EDIT 486, both of which are available for free download. These programs are aimed at children from ~8 years old, though I think with teacher support younger children could use them. I would consider using Scratch (which I describe and demonstrate in my screen cast, above) and KODU in my classroom because these programs help students learn skills such as storytelling, problem solving, consensus building and collaboration, literacy, and technical computer skills through creating and building games. In my classroom, I would use Scratch to facilitate group work that capitalizes on the different strengths of the students in the group/pod. I would have students decide together which of them will lead script/dialogue and story development, artwork and sound development, and building the storyboard, for instance. 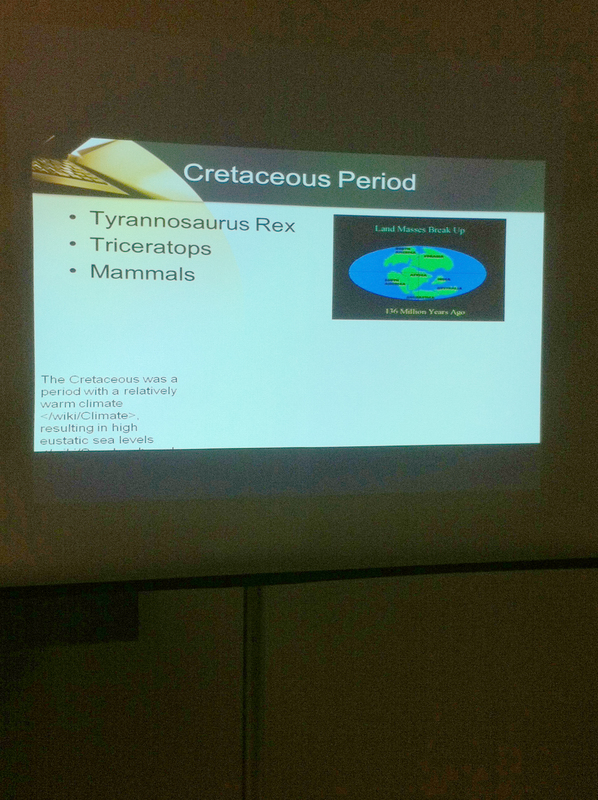 I would have students link their story to something from the curriculum, such as the solar system or dinosaurs. I think it would be a very engaging way to inspire students to think deeply about the material and operationalize what they are learning. This entry was posted in Educational Technology Demos on April 5, 2013 by Kelli.